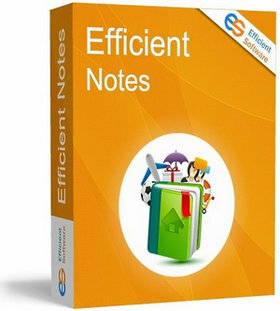 Efficient Sticky Notes is professional, elegant and easy-to-use software. With it, you can «stick» famous aphorism, work list or your feeling on the screen to bring you limitless positive energy. Besides, this software has been sold in 171+ countries all over the world and translated by more than 30 languages. Hence, own Efficient Sticky Notes is not a bad choice! 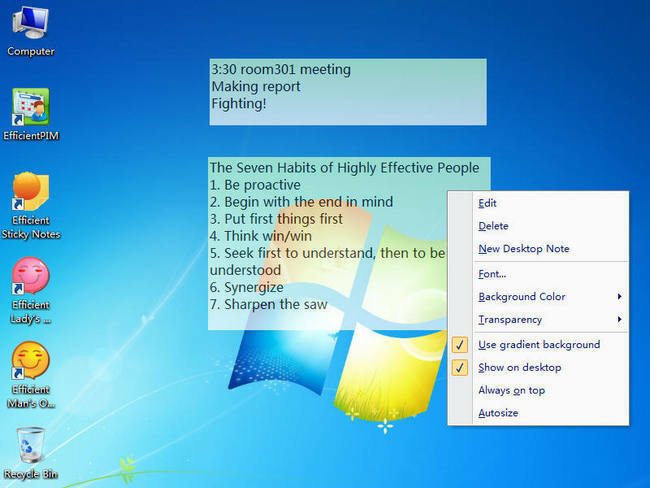 Now start using the powerful and unique Efficient Sticky Notes! 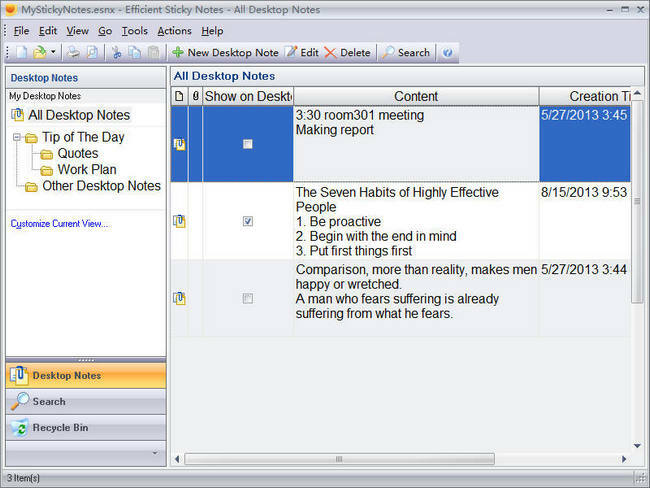 «Stick» your notes on the desktop and you can read important information at any time on the screen. It saves both your money and time! 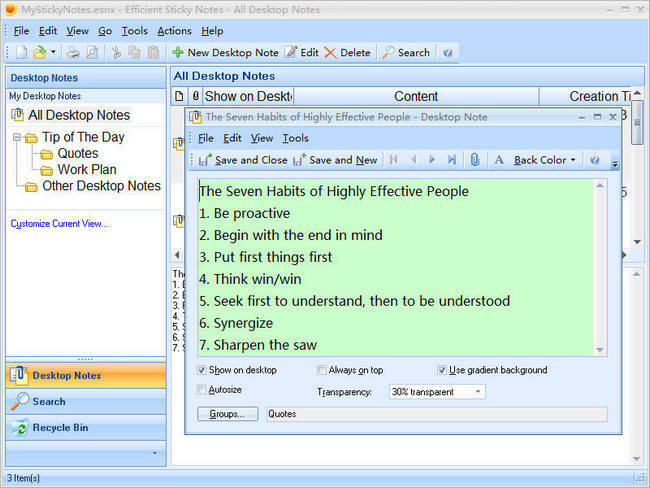 You can customize desktop notes based on your tastes. Such as: Background color, transparency, fonts, gradient effect etc. Efficient Sticky Notes has powerful search capabilities so you can quickly find your information. You only need to input any related information in the text box of Condition and press Enter. The portable edition is designed to run from a USB flash drive. Now, with the USB drive, you can manage your notes on different computers (such as one at home and another at work), and do not need to worry about data synchronization! There is a Recycle Bin in this notes management software, you do not need to be worried that you may delete some important information by mistake. The functions of Backup and Restore can help you conveniently save and migrate data. 10 interface styles are provided to meet your individual needs! They have various tones of color like blue, green, black, silver or pink. Size: 15,45 / 11,65 MB.